Many of you have been waiting for this article for a long time. After the launch of BodyweightBundle.com in March, I was exhausted. It took nearly all of my energy to create such an epic collection of bodyweight workouts. I worked in the early morning, then went to my day job, then worked until late at night. The end result was one of the greatest promotions ever (sold about 8,500 bundles), but I was a mess. I didn’t feel good. Sure, I was excited with the success of the product launch, but I was fatigued. My nutrition wasn’t ideal for body fat either. I was still eating “healthy” food, but it wasn’t ideal for fat reduction. The straw that broke the camel’s back came when I visited my doctor. He performed a BIA on me to get my biomarkers for health (lean muscle mass, body fat percentage, body cell mass, extracellular water, etc.) and it revealed something that shocked me. The biggest item of concern was my body fat. It was at 23%! In this article, I’ll share with you what I did about it. If you’re reading this post then I’m sure you have some body fat that you’d like to get rid of too. The challenge that I faced is that I didn’t have extra time to devote to fitness. Sure, the Bodyweight Bundle was complete, but my plate was still just as full. Eat 100% paleo. Paleo is the diet plan that we were meant to follow. There are in-depth articles on how to eat paleo, but I’m going to simplify it for you as much as possible. *Eat Only These Foods: Meat (chicken, fish, beef, pork), eggs (I can’t eat these because I’m allergic), vegetables (think ‘colors of the rainbow’), healthy fats (nuts in limited amounts, avocado, coconut butter, almond butter, olives, oils), and fruit (in limited amounts). You can eat as much of these foods as you want. Remember though that these are the ONLY foods you can eat. I call this principle “Paleo Carb Cycling”. Carb cycling is a technique that bodybuilders and fitness models use before a photo-shoot. It helps them drop body fat quickly. You can apply this same strategy to your fat loss plan! I don’t go to the gym any more. However, I know that there are still millions of people jumping on treadmills and ellipticals for 30-45 minutes a day at a low intensity. They think they are losing fat. The amount of time they’re wasting makes me cringe. I’m all about effectiveness and efficiency. I’m not blaming them. The fitness industry has cried out the importance of steady-state cardio for a long time. Only now are we realizing that we were wrong. Short, high-intensity workouts are far more effective. I created a rule called “The 9 Minute Workout Rule”. Here it is: Keep your workouts to nine minutes a day at a high intensity, and you will burn a lot of fat! The workouts need to be short and intense. Anyone can get through intense workouts that are still just a single digit long. I think of nine minutes as the same idea. Since the key to dropping body fat is intensity, not duration, nine minutes is the perfect length to maintain the motivation to push through. Short, intense workouts like sprinting caused a recorded increase in growth hormone (necessary for burning fat) of 530% after just thirty seconds of sprinting, according to a British study. It’s clear that short, intense workouts are FAR superior to long, boring cardio. 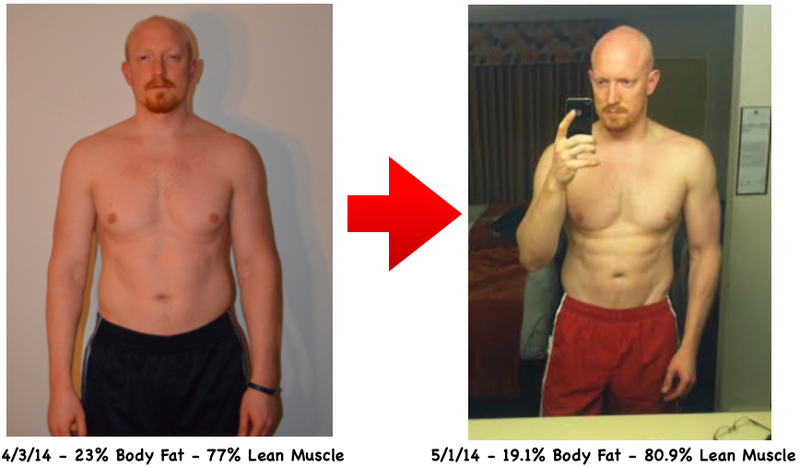 In April, after I dropped the 4% body fat, I knew that I had to create a follow-along system to help you do the same thing. Follow-along workouts are the most effective way to stay motivated because you don’t need to spend time deciding which workout plan to do. 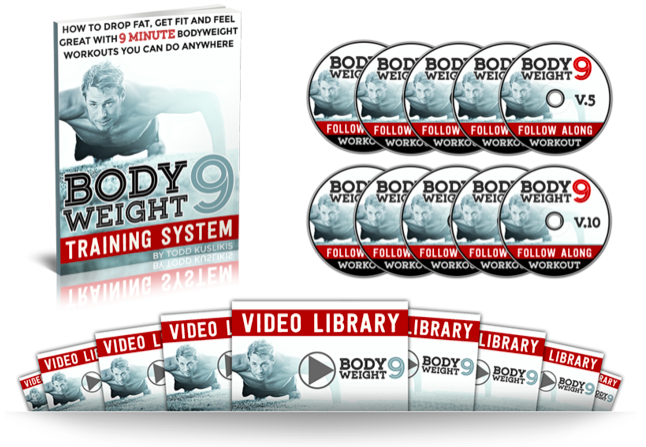 The Bodyweight 9 Workout System incorporates The 9 Minute Workout Rule and is designed to help you drop body fat quickly. We all have busy lives and want to spend more time with family, doing the things we love to do. For most people, fitness is a means to end, not the end itself. Being fit will bring you more energy and help you feel better about yourself. That’s one of the greatest things about Bodyweight 9. After the workouts you will actually have MORE energy then when you do a long, drawn out workout. Can you picture what you would look like if you could drop 5, 10 or even 20lbs of body fat? With Bodyweight 9, you WILL. This 30 day workout system gives you the best combination of short, intense bodyweight workouts to boost your metabolism so that you burn body fat during AND after your workouts. The days of trying to do long and boring steady-state cardio are over. Now is the time to finally see what your body will look like at your ideal weight. The best part is that the workouts are short. You’ll always be able to fit your workouts in so that you feel and look great! 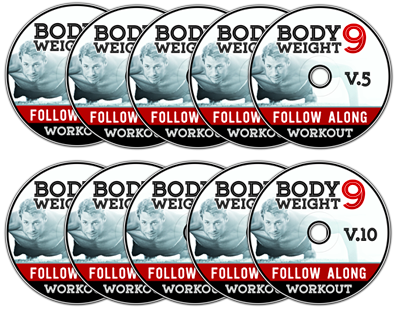 Learn how to perform each exercise inside the complete Bodyweight 9 Video Library. This includes over 50 videos where I show you techniques and tips for performing each exercise for fat loss. There is one simple change that you can make to every exercise you do to make it a fat-burning exercise. 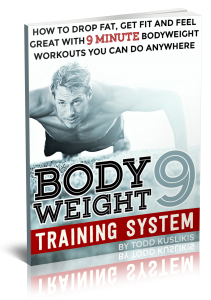 Learn how inside the Bodyweight 9 Video Library. Don’t like working out by yourself? Follow along as I lead you through ten different Bodyweight 9 workout videos. You can save these to your computer, tablet or even smart phone so you’ll never be without a fat-burning workout, even if you’re traveling! Of course, we’ll even back this up with a 100% money-back guarantee for 60 days. If you’re not happy with the Bodyweight 9 Workout Program or Love Handle 5 for ANY reason, we’ll give you a FULL refund, no questions asked. What is the format for these workouts? Are they time based, circuits, sets, etc? 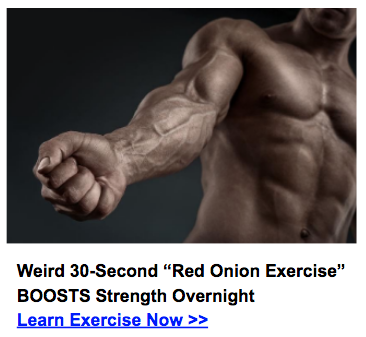 Also are they meant mainly for fat loss, building muscle or both? Thanks! Hi Andrew, thanks for the question. They are meant for fat loss and include both timing and circuit style as well as HIIT. Thanks Todd! I appreciate it! Great program! I am starting the program but I have a patella tendon injury and have been advised by my doctor not to do squats or lunges because of the stress on the knees. What can I do replace these type of exercises in your program. Hi Sterling, Can you do isometric holds such as wall sits? That would be a good replacement. 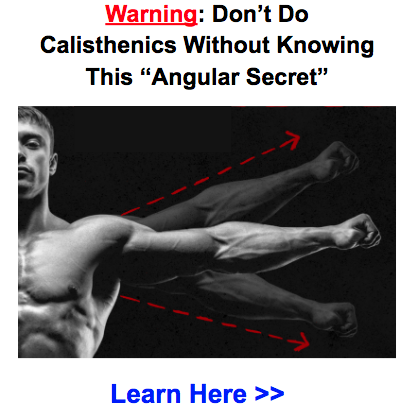 Is this a program specifically for 30 days or can it be done for longer with similar results? so, i totally get the whole very-short high-intensity concept … i’m familiar with and have performed ‘tabata’ many times before…but my big question is, how many times per week should someone (already in good shape) do these brief hi-intensity workouts ? 2 or 3 per week , or can you safely do 5 or 6 per week without overtraining ?